From childhood I have always enjoyed singing, especially hymns. I did not always understand all the words of the hymns but I like to think that I do now! In my opinion congregational singing is a most important part of worship; we must not let it belong just to football crowds. Personally I have found that singing hymns is a very good way to learn more about the Christian life and can be a most uplifting and enjoyable experience. Therefore I have compiled a list below of some video links to great hymns which are online and can be viewed with a Broadband connection. Many of the links have the words shown as well which is very useful. 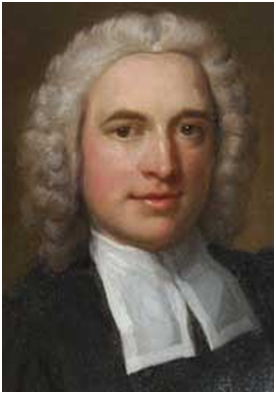 Charles Wesley- the most sung hymn writer of all time. Surely the greatest hymn writer of all time. One line has the words “My chains fell off…” and ever since a local preacher at Winchester Road referred to the song as the bicycle song I have thought of it like that! The composer of the tremendous tune was Vaughan Williams. I hope that if you view any of these sites you might find them as helpful as I have. Please accept my apologies if I have omitted your favourite hymn, but the choice available online is not limitless. If anyone else knows some other links to good hymns then please let us know. Thus I hope that we might be able to not only sing, but love; right down to the exclamation mark.